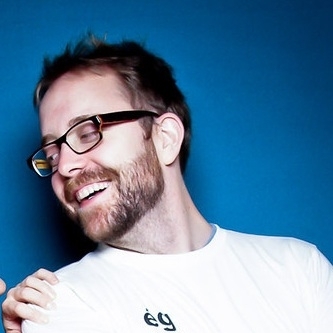 ParisLemon creator MG Siegler, writes notes on tech, media and everything in between. He is a columnist for TechCrunch as well as general partner at Google Ventures. What time of the day do you work best? Morning? Evening? MG: Definitely the evening. The mornings/afternoons are the times I get bombarded by emails/IMs/calls. At night, people largely stop with the pestering, so I can actually sit down and think about what I'm doing. This is especially true with writing. All my best pieces were probably written after midnight. Many usually far after midnight. Do you spend more time in the office or on the go? MG: I spend some time in the office for meetings, but mostly I enjoy being on the go. I work from home in the mornings then head to a coffee shop then head to the office then to another coffee shop. I don't like staying in one place for too long. MG: I love meeting entrepreneurs that are truly excited about what they're building and get me excited about what they're building. I love seeing products early and thinking through whether they could take off or not, and what circumstances have to happen for that to occur. Is there anything you dislike about what you do or about your industry? MG: Day-to-day, sure, I get annoyed by little things here and there -- TOO MUCH EMAIL. But overall, I really love what I do. And I feel really happy to be able to do this for a living. Do you work in silence? Listen to music? MG: When I'm writing, I pretty much need silence or a constant white noise (like chatter in a coffee shop). I've tried many times over the years to write while listening to music, but I always get caught up in the music and lose track of the writing. Though I can listen to songs without words and write, I definitely prefer being alone in a quiet room. Under what conditions do you best generate ideas? Are business decisions for love or for money? MG: Obviously, it depends. But the best ones seem to start being about love and money ends up being one of the end results. Is the customer (client) always right? MG: Definitely not. They always think they are, but the best ones are open to the possibility that they're not. Who did/do you look up to? MG: Well since you just asked about customers always being right, I'll go with Steve Jobs. Jobs seemed to understand that truly game-changing products and ideas fall outside the bounds of what people think they want. People generally think too small when they think about the future. They think about what they currently have and simply want a better version of that. But the world really moves forward by people coming up with completely new ideas and products. All of my favorite entrepreneurs think this way. If you could say one thing to the younger you, what would it be? MG: Stop thinking about what you should do and just do it.